In the past, going to school was a simple concept. Your children simply walked to the closest, public institution. The world has changed a lot in the past decade with several choices for parents to ponder. Explore some of the more popular educational pathways for kids today. Each school provides the education necessary for the 21st century. The Internet has heralded in an era where you can be a high schooler with an independent study every day. Online schools are associated with the state's education board and accredited teachers. Your child takes classes at his or her pace. Tests, quizzes and worksheets are part of the curriculum. Parents take a bigger role in online learning when compared to traditional schools. You meet with a teacher through the computer or phone where the child's progress is discussed. It's a team effort between the teacher, parent and student to keep up with the coursework. Sending your child off to boarding school isn't an archaic concept. In fact, there are several boarding schools in Florida where the institutions are some of the top classes in the nation. 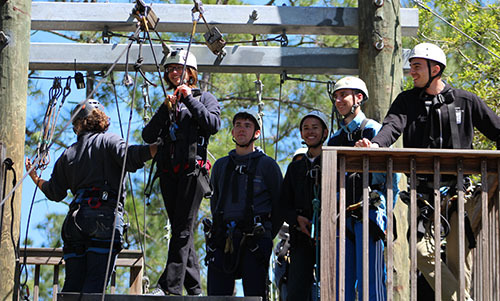 Students thrive in an immersed environment during boarding school. Classes, friends and teachers are close-knit companions. For many students, the information becomes ingrained in their minds, which helps with testing and real-life challenges. At times, boarding and private schools are one and the same. Most private schools, however, don't offer the room-and-board aspect. Every family should consider a private school as a possible pathway. These schools have small, class sizes and nearly unlimited supplies. They can be expensive, however, so each family must weigh the benefits and drawbacks to each institution. It's a good idea to reevaluate your school choice after one or two semesters. Take a look at the experiences and grades that were earned during those time periods. Talk to your child about their happiness at the school. By taking a proactive approach to education, your children will have the necessary tools to thrive in college.